This typical weekend at Oakcliff would be a chaotic major event at any other facility. Oakcliff’s Spring Clinegatta is fully underway with eight teams from four countries competing. Six Oakcliff Saplings will be handed off to the Atlantic Cup to serve as media crew members on Open 40s racing from New York City to Newport RI on Saturday morning. The first weekend of the classic spring series will run Saturday and Sunday. 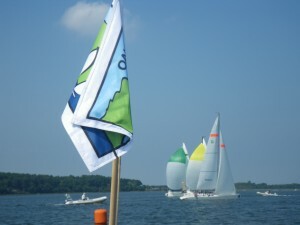 A financial seminar for sailors will be presented Saturday morning and match racing for classic sailors which is a ‘civilized pick up game of match racing’ runs on Sunday morning. Just to add to the mix, Gary Jobson is stopping by for a meet and greet after which 27 sailors and trainees will follow him to Seawanhaka Corinthian Yacht Club for a dinner presentation. Before that happens, the sailors are going to help a troop of Girl Scouts get their maritime badge by brining them on board the Match 40s. Just a typical weekend at Oakcliff Sailing with ten things going on: Literally! 1) Oakcliff Spring Clinegatta: World renowned rules expert and coach Dave Perry ran the competing teams plus saplings and individual supporters through two days of intense drills, ensuring that they are fully ready to race some Saturday morning. There is some form of coaching or training at every event, Oakcliff runs. The debrief continues. 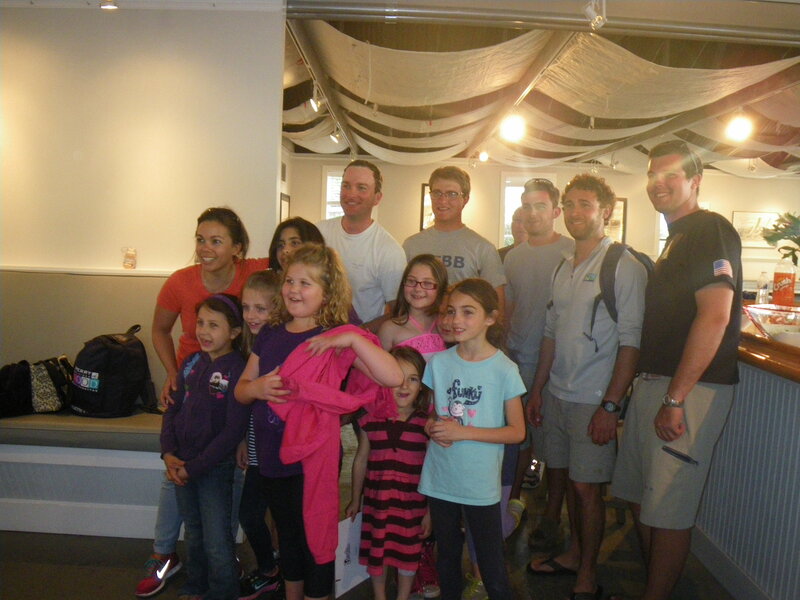 4) Girl Scouts: Troop 1114 from New Hyde Park had a once in a lifetime experience, when each one was placed aboard a Match 40 and got to sail with top match racers from around the world. The sailors were very sweet and had the girls steering and tying knots and going down below to see what is inside a Match 40. The answer: not much! 5) The Ex. Pres: Gary Jobson, past president of US Sailing and media personality, not to mention America’s Cup winner is stopping by to tour the and meet the sailors before he headed over to speak at Seawanhaka. 6) Seawanhaka Dinner: A mad scramble was made to find enough ties and suit coats, which are never required at Oakcliff but are totally appropriate for dinner at Seawanhaka Corinthian Dinner. Racers and Saplings alike are going to be looking smart while being entertained by Mr. Jobson. 8) Match Racing for Classic Sailors: Spring and Fall, the classic sailors meet at 10am to head out and match race. It is a different kind of match racing with phrases such as Starboard. Right you are, sorry. No problem, play through. It is also a fun warm up for the afternoon racing on classics. 9) Classic Sailing: This weekend is the first of the Classics Spring Series where a fleet of 100 year old yachts race a pursuit race around the waters of Oyster Bay and out into Long Island Sound. 10) Major Boat Work: And finally #10 the Oakcliff Shore team jumped into high gear on Thursday when it was discovered that a mast step on the 40 foot Match 40 had collapsed. This would have been a daunting task for many but the team pulled the boat, the rig, rebuilt the mast base and internal structure of the boat and she has been relaunced and will be on the start line in the morning.